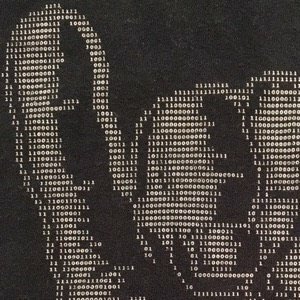 As part of the contest, Patrick McGovern asked Eric “Maverick” Garner to write a song “talking about the wonders of being a sysadmin”. It was recorded and provided as a metal hair band rock version (sung by Michael Wilde), as an unplugged version (sung by Maverick), and without lyrics. 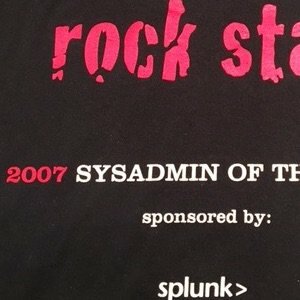 Those entering the contest could then create or remix their own song about being a sysadmin. If anything was learned from this contest, it is that sysadmins as a rule should not sing. 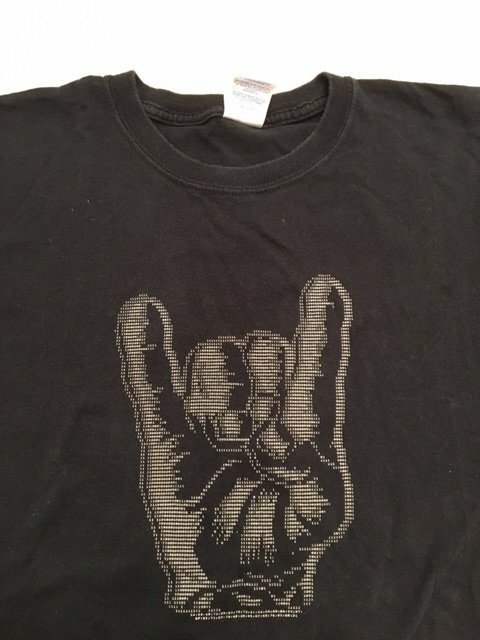 The contest shirt has the rock on hand gesture as ascii art composed of binary. 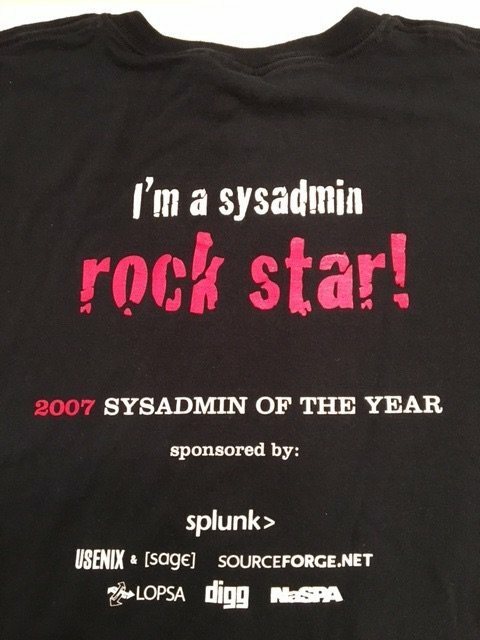 Reportedly, the binary reads either “Splunk” or “Splunk Sysadmins Rule All” or something to that effect. Copyright © 2007, Garner. All rights reserved.